Coffee, Sidney_781, Dan Kuss and 853 others like this. Dave G, takiyatsia, Morganvincroft and 35 others like this. Dan Kuss, Intax, Tiber and 26 others like this. And starting tomorrow (or a few days later), the thread will be FORCED on new users, otherwise they can't read or post. Any suggestions on what I left out, feel free to let me know. Jayson Ibañez, Tiber, Jess The Human and 79 others like this. Dave G, LaraJF, Nilakash24a and 3 others like this. Really like what you're doing here. We can even make it that people read at least X amount of Gold threads before being allowed to post in forum other Introduction. Hadrian, John Franklin, Zefty and 2 others like this. Nope. I think that about covers it. Just force it on the seasoned users as well. I want to force this on people in my life! Sam Simones, james DePatie, StellaAuthentic and 6 others like this. 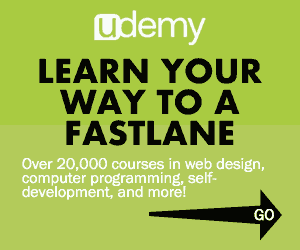 Hello Fastlane beginners, welcome to the forum. To add on to @MJ DeMarco's post, here's some basic info to learn. This is what a profile looks like. A profile contains badges, likes, and rep bank. We'll explain in further detail what this all means. Staff Member: A user who moderates the forum. Legendary Contributor: A forum member who gained 5,000 likes. Fastlane Insider: A member who purchased a Fastlane insider subscription. Click HERE to join. Click HERE to access the Fastlane Insider private forum. 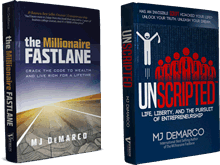 Read The Millionaire Fastlane: A member who read the book. Click HERE to get your badge! Speedway Pass: A member who earned 40+ speed points to view this private forum. For more info, click HERE. Summit Attendee: A forum member who attended the summit. More details HERE. Start A Conversation: This is how you private message a forum member. Some forum members have this feature turned off. These forum members prefer their inbox not get flooded with questions about mentorship, advice, networking, etc. General warning: Be cautious with anyone sending you links offering business opportunities, investments, or inviting you to pay money for a service. Rep Bank: This is your Fastlane bank. The Rep Bank represents your credibility. The more likes you get, the more your bank grows. To build your bank, contribute to the forum. Rep Transfer: Click to send reps to a forum member you think has awesome content. Likes: You get $5 reps every time a forum member likes your post. In summary, this post provides answers to common questions about the several features on this forum. Enjoy your stay! Intax, c.dream87, Leif Eric and 73 others like this. Van makavells and GameOver like this. so your idea is creating a bootcamp for newbie : "read this, do that"
new users should do special actions for a fews days , "read that topic. follow this guy "
then they graduate : " new user approved "
james DePatie, jb1, LifeLongFreedom and 2 others like this. Probably a general warning to newbies to be wary of anyone sending them PM's offering business opportunities, investments, or anything asking them to part with their money. This forum is awesome, but this is still the internet, and there can be some unscrupulous characters around. Ronald Williams, i486dx266, james DePatie and 20 others like this. I find the bookmark feature very useful, especially for the mega threads. It basically acts as a personal "Featured post" function where you can organize, add notes, tag and quickly find your favourite posts. Andy Black, ironman150 and Argue like this. - Legendary status relates to "likes". I think right now it's set at 5,000 likes = legendary status. - You get rep when someone likes your posts. You can also get it when someone clicks the "rep transfer" button and transfers their rep from their rep bank into your own. Often as thanks for posting awesome content. While it's generally a quick way to tell who gets lots of love for their posts, because it can be given away it's also not necessarily a reliable indicator (look at @Yoda who can't give away his rep fast enough because he's awesome like that). Michael Stone, Puscas Cristian, Court and 11 others like this. Hey @JAJT, thank you for the feedback. When I first wrote this, I knew it'd be incomplete but my hope was someone would help contribute and add on. You're the man! Definitely going to make changes soon. @MidwestLandlord you are correct. Going to fit this bit of info in the next edit. Thank you! @cmor16 I agree 100%. I'll include the book mark features too! StellaAuthentic, Andy Black, MidwestLandlord and 3 others like this. james DePatie and Scot like this. Just an FYI -- it might happen several times as I am still tweaking the function. james DePatie, Nicoknowsbest, Roli and 4 others like this. But I definitely agree with the purpose of this thread! james DePatie, Nicoknowsbest, Argue and 1 other person like this. But it would not load for me. Gave me "This thread could not be found"
Nicoknowsbest, Andy Black and Argue like this. As one of the few females on the forum, I have greatly appreciated the rule below. We haven't had too much of a problem because the mods/boss have done a great job with their monitoring, which has helped me stick around! Intax, Michael Stone, dzinsp and 32 others like this. As one of the few females on the forum, I have greatly appreciated the rule below. We haven't had too much of a problem because the mods have done a great job with their monitoring, which has helped me stick around! livinright, RedRapunzel and Bellini like this. Maybe worth linking to this thread in the OP? Hadrian, StellaAuthentic, anthd and 6 others like this. Excellent! I can't see anything else to add. It's great having the rules, threads, and "what this forum is all about " in one place. StellaAuthentic, Argue and Andy Black like this. As a recovering TV binging sociologist (victimologist), this is my favorite rule. Following politics and world events beyond the scope of pertinence to business is scripted victimology 100%. free forex, Watererst, netgains and 5 others like this. Guess I missed that 4 years ago. Dave G, DanLucas, free forex and 5 others like this. How about changing your screen name if you don't like the current? amandaPatrick, free forex, StellaAuthentic and 3 others like this.